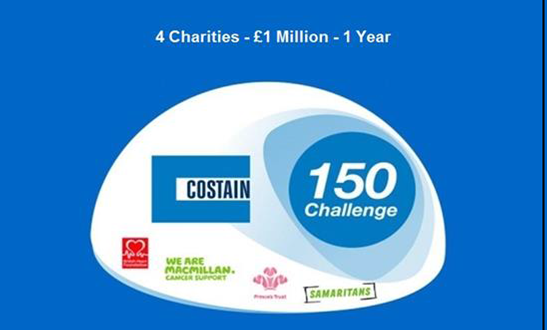 The Costain 150 charity has been created to commemorate the company reaching 150 years old. The target is to raise £1 million throughout 2015 with all proceeds being split equally between the British Heart Foundation, Macmillan Cancer Support, Prince’s Trust and Samaritans. There will be numerous fundraising events by company individuals and projects throughout the year. Andrea Rees, of Cycle Solutions, has been working with Costain to include cycling in their fundraising efforts. A Specialized Allez and turbo trainer, donated by Cycle Solutions, are to be used in an attempt to get 150 Costain employes from across the UK to each pedal-out 150 watts of power. It will take each rider around an hour of pedalling to generate the required 150 watts. Costain are involved in the Swansea Tidal Lagoon project, and it is hoped we will be sending our own team down to add a little pedal power when the event reaches the SA1 development in Swansea. Employees of Costain will once again be able to join the cycle to work scheme provided by Cycle Solutions throughout March 2015.